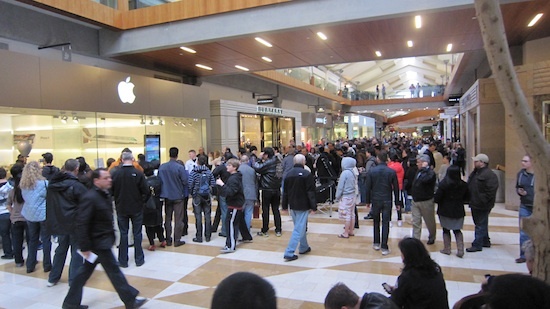 Today is iPad 2 launch day and all across America, brainwashed Apple fanboys and fangirls lined up like a bunch of cattle headed to the slaughter. 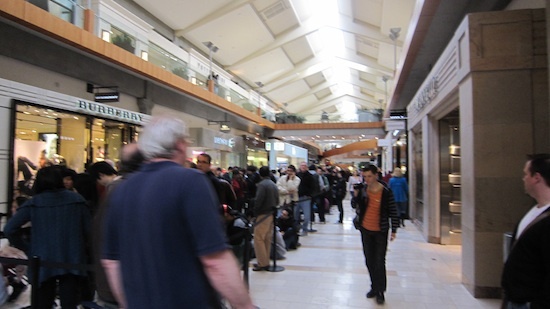 We got to the Bellevue Square Apple Store shortly after 4:30PM and the line up stretched across two wings of the mall. The person at the front of the line had been there for over 13 hours! 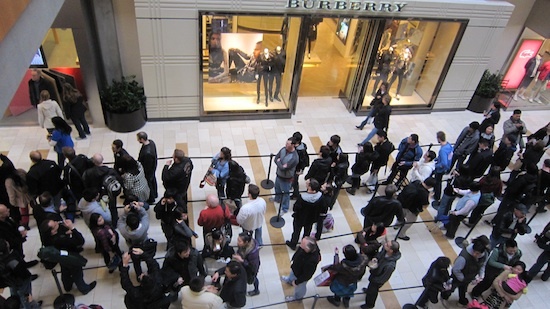 It doens’t matter to me how great the new iPad 2 is, I can’t imagine lining up 13 hours for it. I can’t imagine lining up that long for anything! Luckily, I don’t have to. 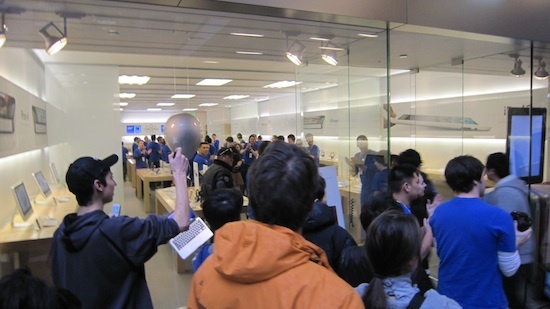 Watch the video below to see me bypass a 1000 feet long lineup to get 11 iPad 2s ahead of everyone else.